Star formation is at its strongest in starburst Galaxies. Starburst Galaxies can have a hundred stars forming each year. In the Milky Way, only one star forms per year, on the average. Starburst galaxies are named after the large amount of stars forming inside the galaxies. 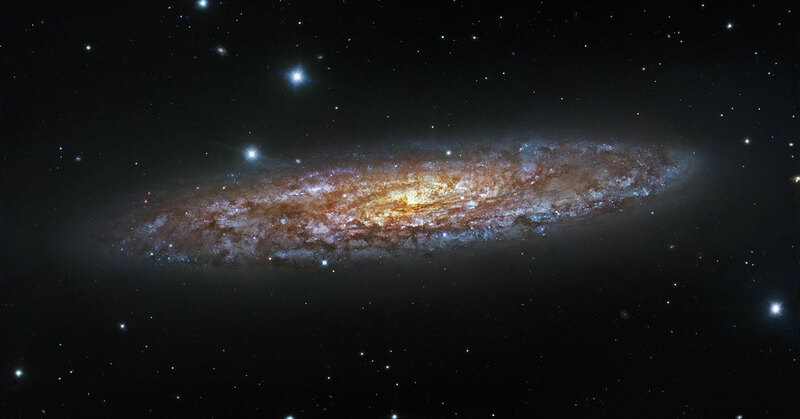 Because stars are born of gas, these galaxies must also have a large amount of gas in them. It appears that the starburst-phase does not last over the whole lifetime of the galaxy. Compared to the Milky Way, where one star forms in a year, maybe hundred or thousand times more stars are forming in starburst galaxies in a year. Some of these galaxies the accelerated star formation is caused by collision of two relatively quietly living galaxies. The Antennae galaxy is a good example of a large amount of stars forming in two separate galaxies when they collide with each other. Two galaxies colliding with each other. 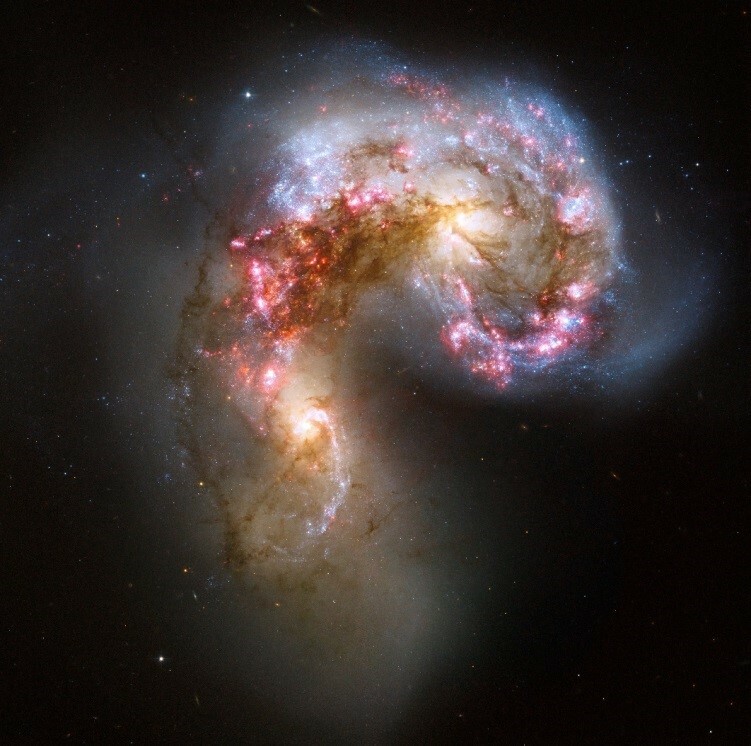 As the two galaxies smash together, thousands of millions of stars are born, mostly in groups and clusters of stars. The brightest and most compact of these are called super star clusters. This picture has been taken with the Hubble Space Telescope. Image: B. Whitmore, STScI, NASA, ESA.